VL Elena 12/4 has been the talk of our donor program since VL Rojo Apache 1/50 walked into our show string. She is a beautiful cow and a perfect picture of production. This cow is a high volume egg producer and a top donor. 12/4 is a muscular, moderate framed cow with beautiful pigmentation and tremendous characteristics. She is a daughter of VL Rojo Designer 10/9, a dark-pigmented sire, and his calves are dominating the show rings in Mexico and Colombia. The dam of 12/4 is VL Elena 30/0, another top producing donor. VL Elena 12/4’s calves are impressive and appealing to the eye. They retain dark pigmentation, breed character, and lots of muscle. 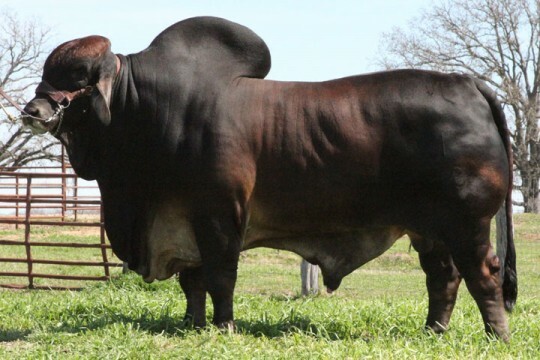 12/4 is one of those all-time great producers that continue to maintain Santa Elena Ranch’s reputation as a top red Brahman breeder. 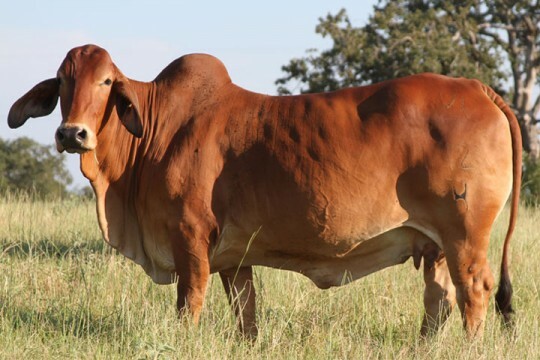 You will be hard pressed to find a more prolific producer of quality purebred genetics anywhere in the Brahman breed..